People who suffer from sleep apnea have a higher risk than others for developing heart disease. “Researchers cannot say for sure whether sleep apnea causes heart disease, but we do know you are more likely to suffer from high blood pressure when you have sleep apnea,” says Duc T. Nguyen, DO, interventional cardiologist, Saint Francis Medical Partner. 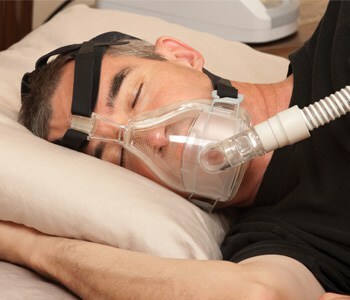 Sleep apnea disrupts your breathing while you are sleeping, leading to low oxygen levels (hypoxia). In response, your brain sends signals through your body that tell blood vessels to “tighten up” to increase the flow of oxygen to the brain. To learn more about sleep apnea, visit the Sleep Disorders Center webpage or call 573-331-5837.